Live, breathe, and love fashion like me? 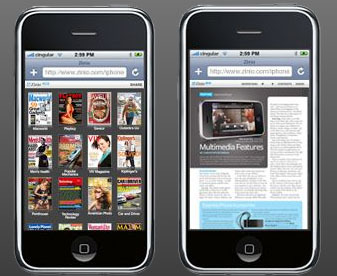 A new application on iTunes for your iPhone/iPod touch lets you watch videos like you are at the front row of the Gianfranco Ferré runway show in Milan! 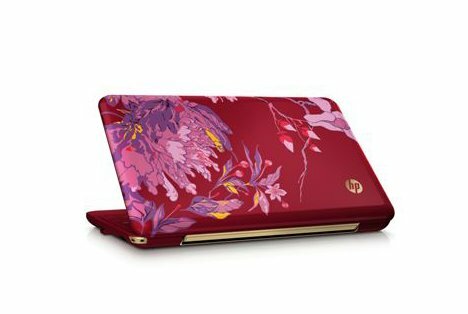 Vivienne Tam designs HP’s newest laptop. I was backstage at the Vivienne Tam show and there was some revealing that was going on but there were so many people around that I couldn’t see what it was. Today on Fox Business’ Happy Hour Vivienne Tam was on to market her design of the laptop in conjunction with HP. I want it now!!! It’s so pretty and matches all the peonies in her Spring 2009 collection! To sit curbside with Zac Posen. One of my favorite things to do each morning is google great website designs from fashion houses. This morning I was curious to see the Minnie inspired? work of Zac Posen. With The Duke Spirit‘s, “The Step and The Walk” blasting in the background, a video of Posen’s fall/winter ’08 collection streamed from what looked like the entrance of a penthouse on Park Avenue. I felt like I was across the street sitting curbside watching the models strut down the runway. A little humor in your lexicon. One of my favorite emails I get each morning is from Daily Candy which contains the latest news about fashion, food, and books from major cities in the US. As I was laying out this afternoon in Central Park (oh did I mention it was 96 degrees and I was sweating like a wet dog? ), I read the latest issue of Vanity Fair and found a clip of Daily Candy’s newest venture into books. The book entitled, “The DailyCandy Lexicon: Words That Don’t Exist but Should” is filled with made up words to describe everyday instances. For example one of my favorite lexicon is, “Dressed to Spill: adj. Used to describe a woman’s precarious and flirtatious state of dress, wherein a great deal more than cleavage will likely be revealed.” Why not spice up your conversation with a Daily Candy Lexicon?